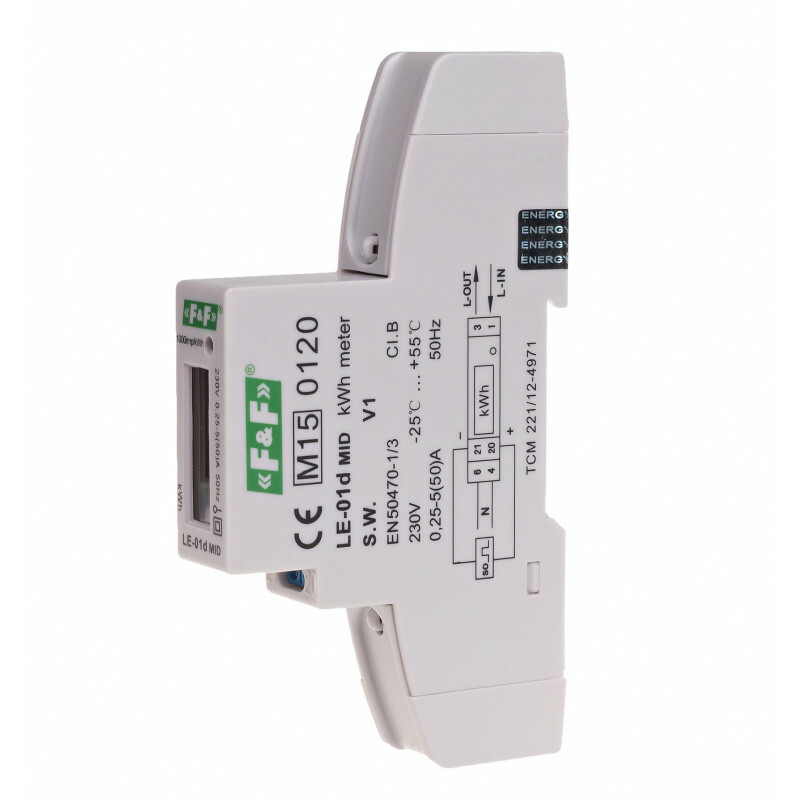 MID compliant. 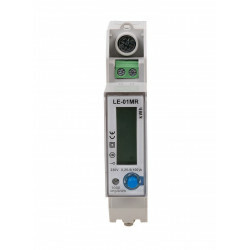 Single-phase. 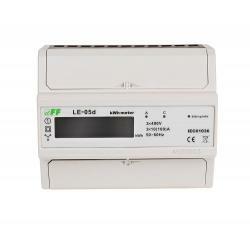 Current 50A. 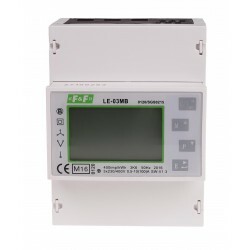 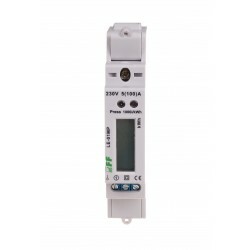 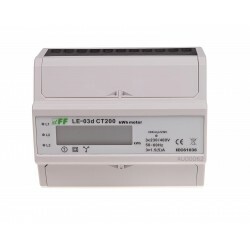 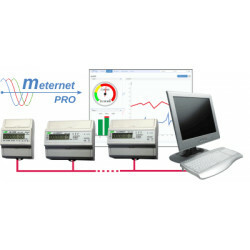 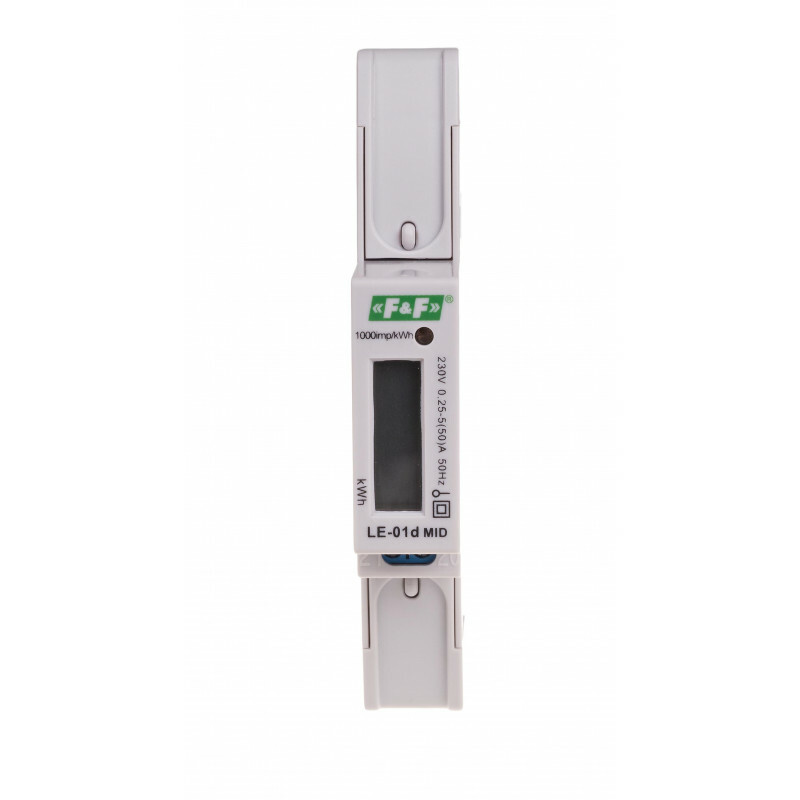 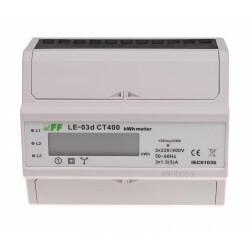 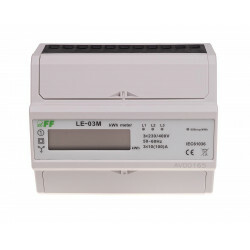 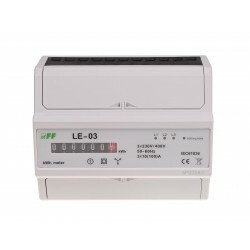 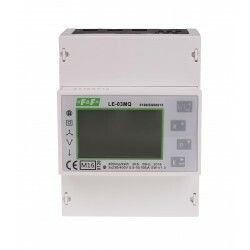 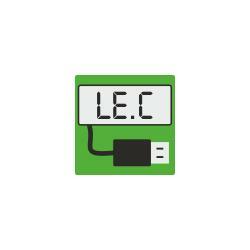 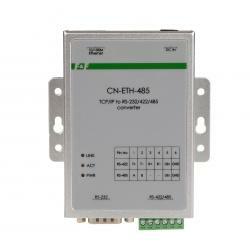 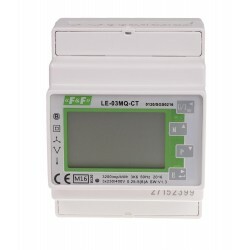 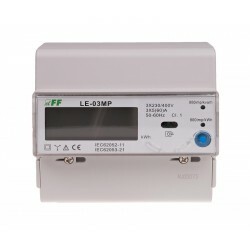 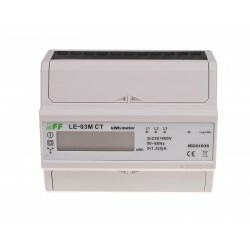 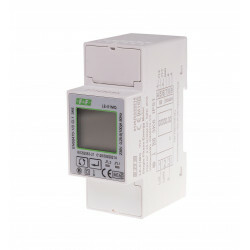 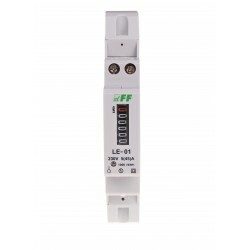 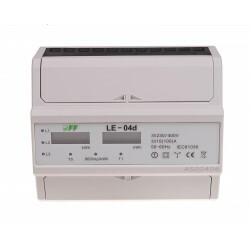 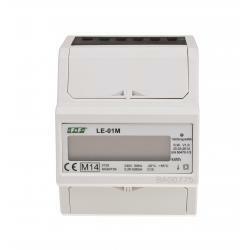 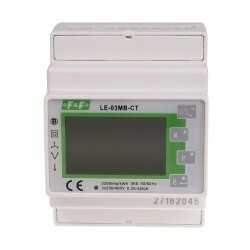 LE-01d is a static (electronic) calibrated electricity meter of single-phase alternating current in a direct system. 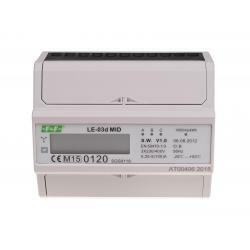 A special electronic system under the influence of flowing current and applied voltage generates pulses proportional to the drawn energy. 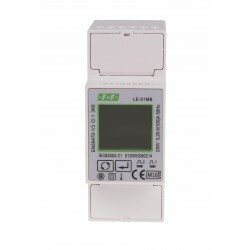 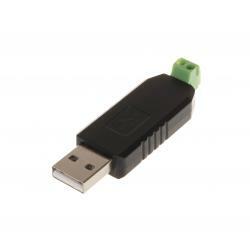 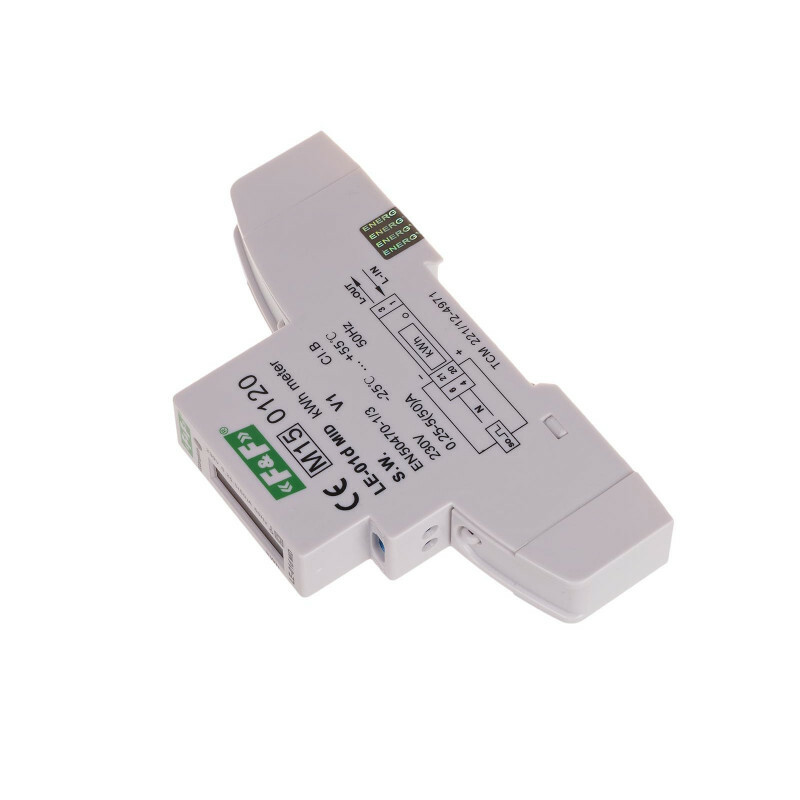 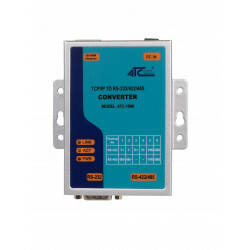 Energy consumption is indicated by a flashing LED. 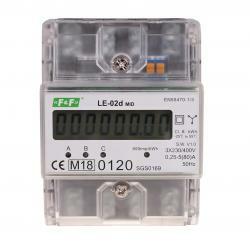 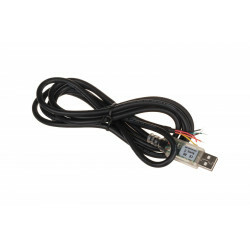 The amount of pulses is converted into energy input, and its value is displayed by the segment LCD display. 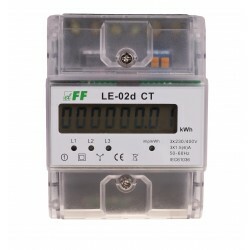 The fractional digits represent the hundredths (.01 kWh = 10Wh).